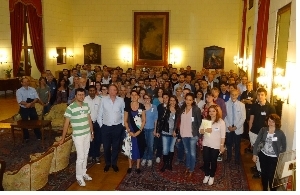 The third annual BLUEPRINT consortium meeting took take place on Monday 29 and Tuesday 30 September 2014 in Rome. On Wednesday 1 October 2014, a joint meeting with the Italian EPIGEN consortium was held. It was a succesful meeting with a lot of new and exciting data being presented and a good atmosphere for networking.